MASTER PSYCHIC VOTED NATION'S BEST FOR SUPERIOR ADVICE. URGENT REQUEST LOVE CASES. CALL NOW!!! 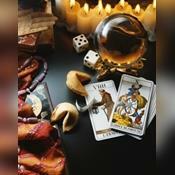 I was gifted at birth with my gifts and started doing readings when learn to develop my gift I use my clairvoyant skills in a straight forward manner. I read energy's and guided by my spirit guides to help me give clear and direct readings. It is my philosophy to help callers understand why they are where they are currently, and to provide them with choices to continue on a secure and happy journey. long-term addiction. Reduce stress and allow yourself to live a happy, peaceful life! Gain self-esteem. Find out the meaning of your dreams. Give me a chance to help improve the quality of your current life you won’t be disappointed! thank you Yvonne! Easily picked up the situation and gave me great advice! EXPERIENCE A WONDERFUL AN VERY PERSON READING EXPERIENCE OF MY ABILITIES, CALL NOW!!!!! Yvonne Spellcast has been a user of Keen since 2004. Getting Psychic Mediums advice from Yvonne Spellcast through www.keen.com is safe, secure and confidential.